At the start of 1975, French television was reorganised. The first French channel was renamed TF1. The second channel (in 1975 renamed Antenne 2) had started colour transmissions in 1967, but the more popular TF1 didn't start colour until the end of 1975. Guy Lux had devised many French variety shows including Intervilles , the format which British television copied as It's a Knockout . In 1975 his big hit was a Saturday afternoon magazine. Samedi est à vous (Saturday is yours) ran from 2pm to 6pm, presented by Bernard Golay. Viewers would vote by telephone for which show in different categories (police, western, cartoons, adventure). The winning show would be screened. The shows included both older and new series, particularly from America or Britain. Shows like The Wild Wild West became hugely popular, regularly winning the vote every week. 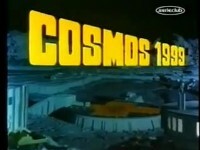 TF1 bought 13 episodes of Space: 1999, titled "Cosmos 1999". The French Canadian dubbed episodes were used. Samedi est à vous had a "fantastic" category, which had recently shown The Invaders , and in December 1975 they listed "Cosmos 1999" against an older ITC series, "The Prisoner", and the short-lived American series "The Immortal". "Cosmos 1999" became a hit. By April 1976, they had exhausted the 13 episodes and ran "The Invisible Man". An additional episode appeared in June 1976. In October 1976, Guy Lux departed TF1 and Samedi est à vous ended. TF1 introduced another Saturday magazine format, with the somewhat desperate title Restez donc avec nous le samedi ("Stay with us on Saturday"). 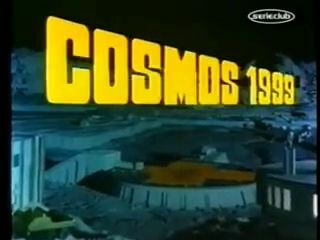 The show mixed games, cartoons and series retained from its predecessor, including "Columbo" and "Cosmos 1999". 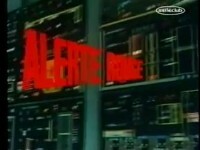 TF1 bought another 9 episodes, shown from the end of 1976 into 1977. One episode was not shown: Missing Link, as the nightmare scenes were judged too frightening. The second series was not shown. In the summer of 1980, TF1's Temps X science fiction programme was a year old. The show, presented by brothers Igor and Grichka Bogdanoff, was a magazine talking about science and science fiction, and introduced episodes of several older science fiction shows, some unknown to French audiences, including Star Trek . 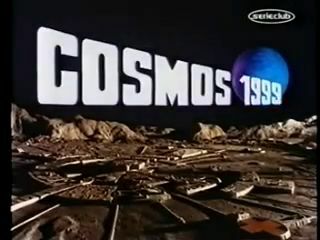 In 1980 they began a repeat run of Cosmos 1999, showing ten first series episodes including the first French screening of Missing Link. The 2015 book, Nos Annees Temps X by Jérôme Wybon and Jean-Marc Lainé (published by Huginn Muninn) covers the history of Temps X and includes Space: 1999. A second repeat run followed on the channel Antenne 2. In August 1987 the private station La Cinq began to show the episodes every weekday, then showing for the first time in France Year Two on Saturdays. In 1989 it again showed the episodes one every day at 11.35 am. In the 1990s video tapes of all first series episodes were released. Pierre Fageolle wrote a superb guide book. The fan club Cosmos 1999 published four quarterly newsletters between 1990 and 1999, and ran four conventions. In 2000 it was renamed Destination Alpha ; it closed in 2002. See the Canadian guide for dubbing cast and translation notes.